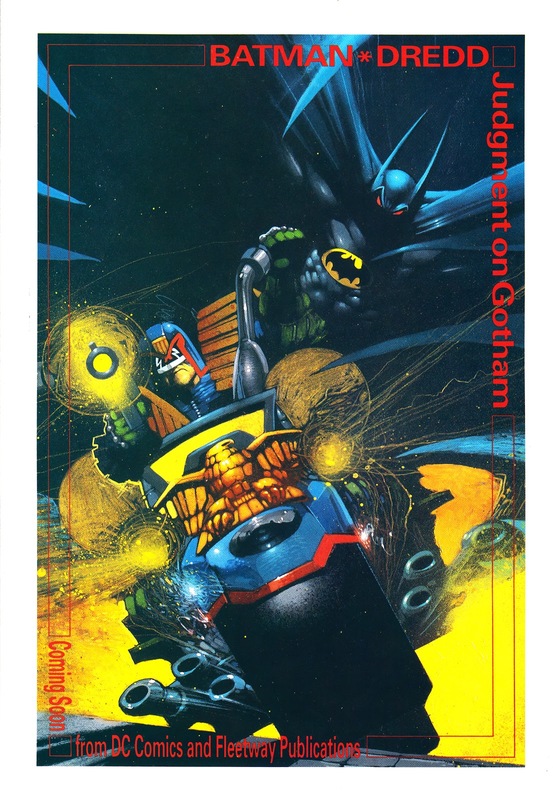 Tharg has a new hardback collection of JUDGE DREDD's DC Comics crossovers coming out at the end of the month (collecting, according to Amazon, Judgement on Gotham, Vendetta on Gotham, The Ultimate Riddle, Die Laughing and Psycho Bikers vs. Mutants from Hell). 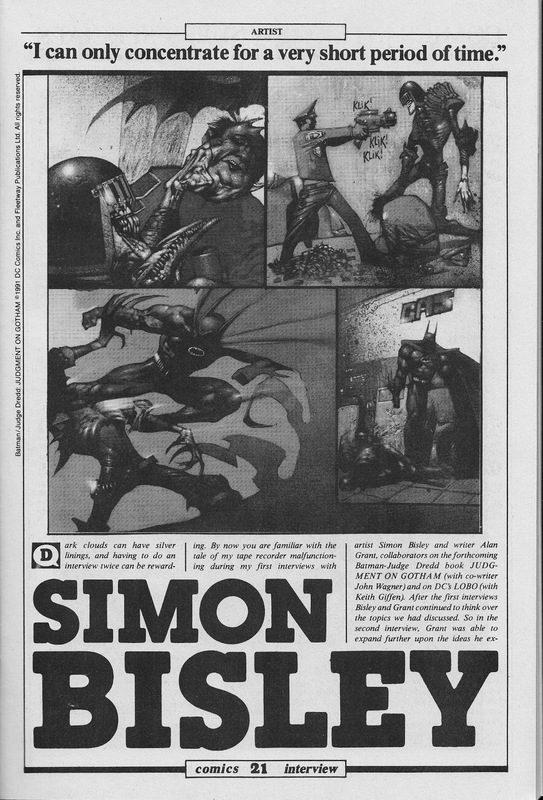 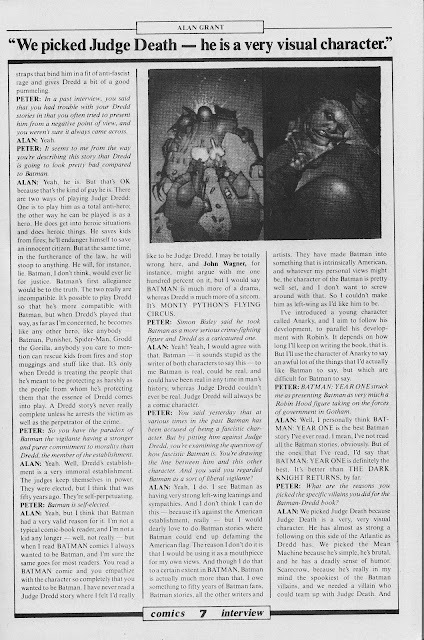 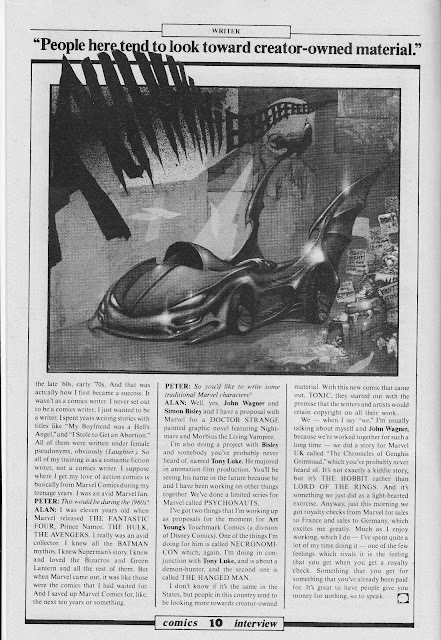 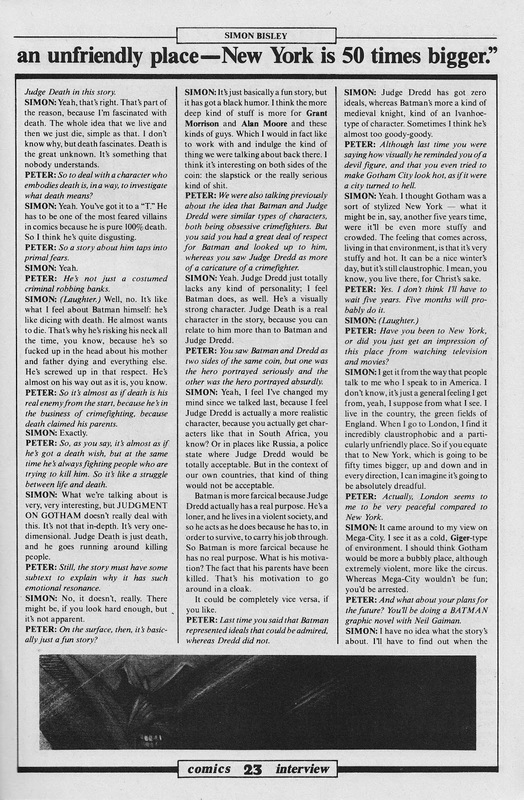 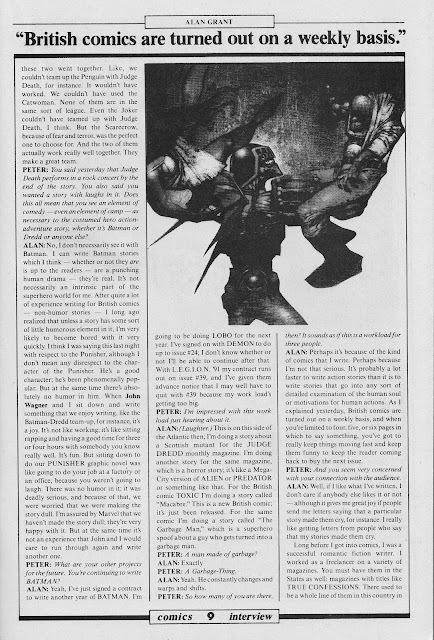 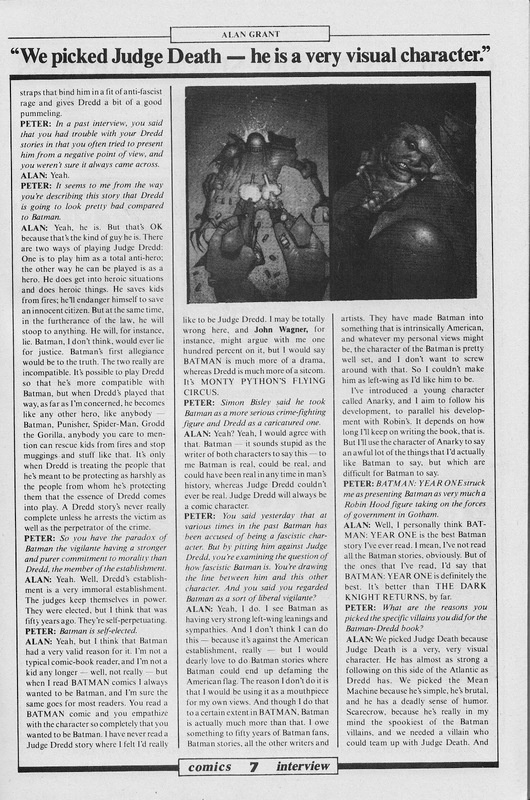 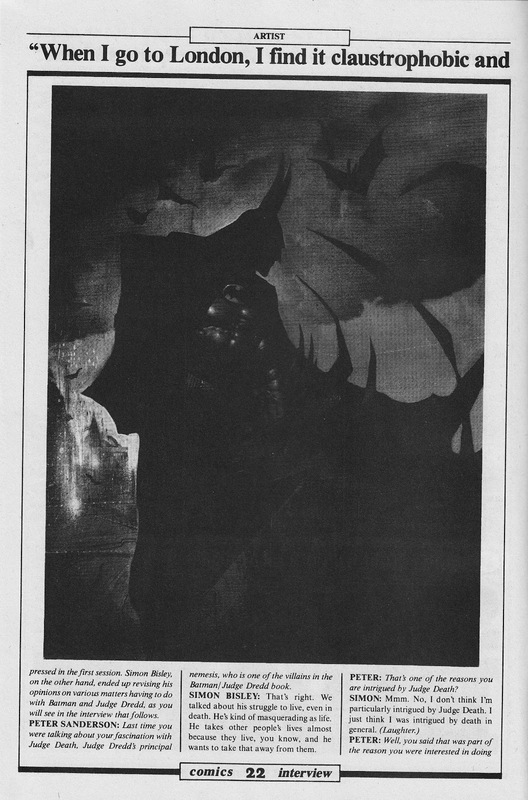 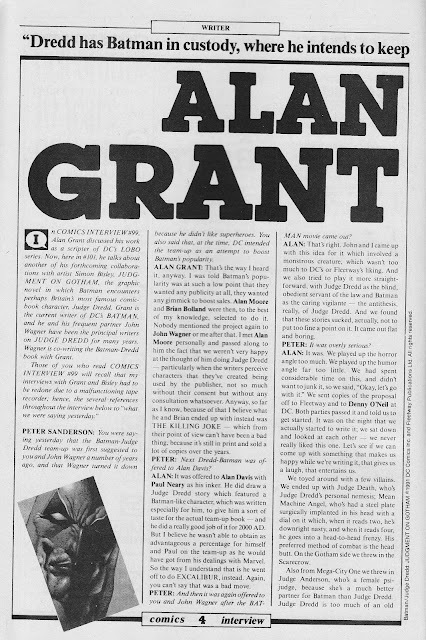 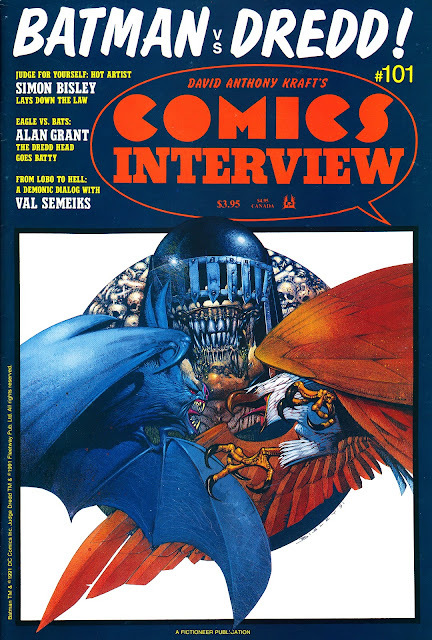 So, by way of a Starlogged tie-in, here's a couple of interviews with the Judgement on Gotham creative team (Alan Grant and Simon Bisley) from COMICS INTERVIEW. 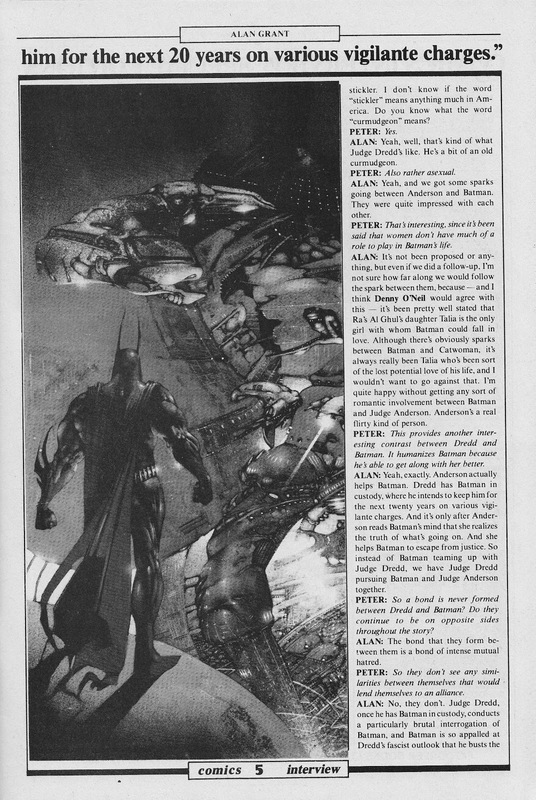 I recall a lot of print publicity about this landmark team-up at the time (it became a best-seller for DC and Fleetway, thanks in part to the numerous editions published on both sides of the Atlantic) but this is the most detailed piece I've unearthed. Now... If only the two publishers (or IDW, who are about to launch their own licensed JD title) would sort out a reprint of the two (long-forgotten) original JD comics (JUDGE DREDD and JUDGE DREDD: LEGENDS OF THE LAW) that DC hoped would bask in the afterglow of the 1995 Dredd movie (they closed after 18 and 13 issues respectively).